whos your fav voloturi character??? who do আপনি think is the hottest volturi member??? jane is my fav character and alec ias the hottest!!! alec was so freaking hot i wanted to scream at the camera to turn back on his face! i agre. aro is darn freaky!! all those বছর have gone to his head!! All of those centuries hiding away from the general public...yeah, he's gone nuts, but I still think he's cool. I প্রণয় unpreditable characters and Aro is really unpridictable. His mind is so chaotic and twisted, I don't even think he's aware of what his পরবর্তি সরানো maybe until he's just সেকেন্ড away from অভিনয় on it. He's very impulsive. ARO!!!!!! Dude, he's always been my fav, but when I saw him in the movie. Michael owned that character, he was so freakin cool. I just LOVED Aro, he will always be my fav. Now when it comes to the hottest, that's hard. Both Demetri and Felix were so damn fine...OMG!!!! প্রণয় them both...I can't choose between those two. Don't make me choose...lol. i think dimentris odd. in my head, felix was short and chunky!!! really different from the film! I like the way both look in the movie, just the way Demetri spoke had me hypnotised. He has a very smooth tone and Felix...well, he's 6'7" of hottness in my opnion. Aro, Jane and Alec are my faves, Alec is definately the hottest!!! The hottest was totally Alec! !Super hot! !And my fav is jane too! !She like scary and creepy and pritty! !Dakota Fanning is really Kewl!! 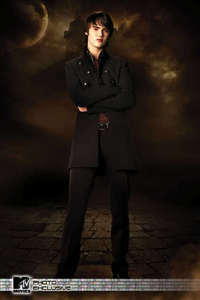 My favourite volturi character is Jane, the best looking, i think, is Alec. ARO IS MY FAV VOLTURI CHARACTER AND THE HOTTEST!!! !